“Someone has introduced a new MIDI controller keyboard” ranks right up there with “an off-price mall big box retailer is now doing basic solid color tees.” It’s potentially still useful (as in, my luggage got lost in Dallas and I have no clean clothes), yet not exciting. But Arturia have deserve special mention here, because they have lately had a knack for giving users exactly what they wanted, apparently. At least that’s my impression as I notice the number of BeatSteps Pro and KeySteps cropping into rigs. So, let’s see if the Arturia KeyStep Essential line in fact can do everything. On paper, at last, this looks like one that can. It talks to all your software – even your DAW. 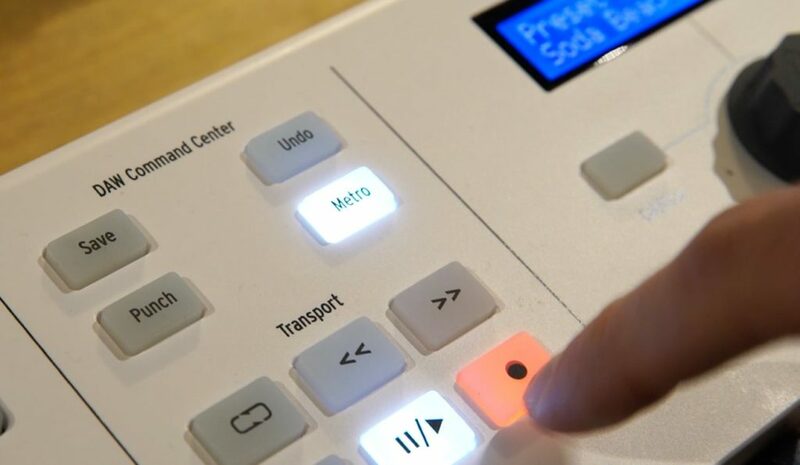 — it also sends Mackie Control MCU/HUI for controlling DAWs (relevant with the transport triggers). This used to be a fairly standard thing, but lately, you can’t necessarily count on it. That’s still not breaking news, but in a nice touch, you get dedicated controls for SAVE, UNDO, PUNCH (for recording, not because you don’t like your mix engineer), and METRO. All four of those choices say to me this was made by one of us. It talks to all your computers / iPads / Android objects / Linux things / Raspberry Pi / whatever. — yes, it’s USB MIDI class compliant, which means when connected via MIDI you can work with macOS, Windows, Linux, Android, iOS, and .. whatever else you happen to locate … without installing drivers or, like, worrying. It works with all your gear, with or without a computer. Now, even with the MIDI output jack onboard, I was worried about this one. But Arturia confirms that with power provided either via USB or the 9V barrel jack, you can use the keyboard without a host. There are clever dedicated preset controls. In addition to preset memory, there’s a handy display and knob for recalling presets. You don’t get a display above the faders and knobs, but the display is meant to give you some feedback on individual parameters (this part I need to actually try). It can pretend to be a Steinway. People who buy things with black and white keys attached do often tend to be people who grew up with pianos. I’m one of those people. I like the Steinway Model D. UVI’s extensive sample library of the Model D (not the Kawaii, not the Yamaha, the Steinway) is bundled, free, which will matter to those people. Try to ignore the fact that your Steinway feels a bit suddenly plastic-y; try dressing in a tuxedo. But there aren’t a lot of sub-$300 keyboards that include good Steinway samples, so – you’re golden. You could buy yourself a nice date night at a concert of piano music, instead of sitting home reading CDM. It has loads of other sounds. This is still an Arturia keyboard, so you get Analog Lab 2 with a lot of ready-to-play vintage presets, as well. This looks like a potential winner. I’m not the greatest fan of white, even less so when you add fake wood effect on the sides. And what you get from more expensive keyboards is more displays – Akai and Native Instruments, for instance, give you individual parameter labels on each control, which is a boon if you’re into synth programming. But this still a lot of value for a keyboard that costs less than those other options. There’s also a chord play mode, and the option of powering via a DC power supply. Arturia also says this one is rugged and road ready – something to test. I’ve been a bit disappointed of late with some of the other low-end entries from the likes of M-Audio, in that a lot work only when connected with USB, and skimp on some control features you’d need. Saving money is no good if the keyboard proves to be disposable. So, this looks promising. 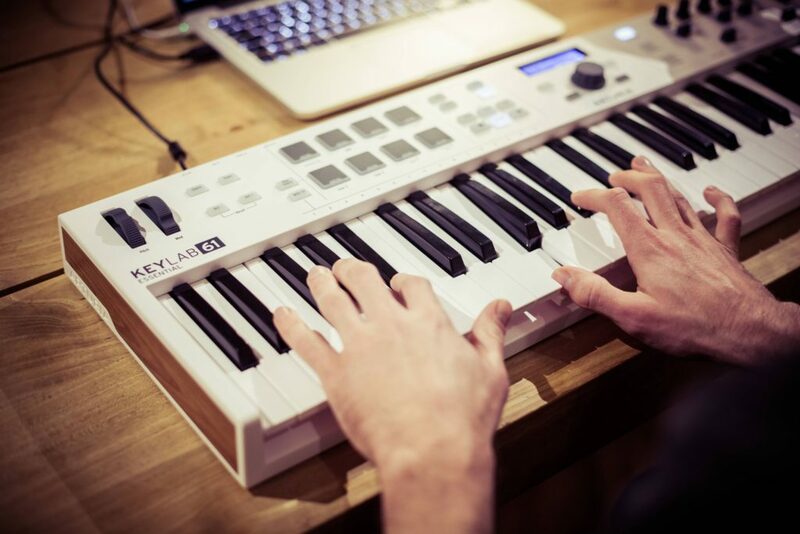 I do wish it had some of the clever arpeggiator/step features of its baby brother KeyStep. But it makes some sense that Arturia chose more traditional DAW control features. The 49-key version is 3 kg and runs you 199 € / US$ 249. The 61-key version (awaiting weight information) retail for 249 € / US$ 299. I’ve seen endless variations on this idea. But maybe this is the one that finally gets it right. Watch for a review, because after all the time I spent reviewing all the other attempts, I might as well do this, too!